We are informing the complete address of SSS Tondo branch in Manila listed below. To know your sss contribution,ID application, new number application, remittance, static information, loan condonation program, remittance, benefits such as maternity,disability, hospitalization and soon. You may come personally if you near the place. For easy to locate we have map guide provided below. If you are residing in Malaysia and looking complete address and hotline numbers of SSS Kuala Lumpurbranch? 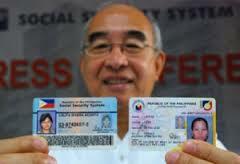 For more inquiry regarding your sss contribution, member and maternity benefits and sss ID application and more. Read full contact details including hotline numbers and call before coming over in person. You view the guide map posted below.